It's that time of year again* when us mere mortals get the chance to participate in a battle of wits with Tiemen Zwaan, the dastardly mastermind behind the blind book date initiative at the American Book Center in Amsterdam. Yes, folks. It's time for the annual Blind Book Challenge! For those new to the challenge, the aim of the game is to try to decipher the titles of speculative fiction novels based on cryptic clues. It's kinda like a crossword puzzle - only much, much tougher. Post your answers/guesses in the comments below and see how many titles you can identify correctly. The correct answers will be revealed at a later date. So don your monocles, dust off your magnifying glass, boot up that difference engine and prime your lasers. May the best mind win! 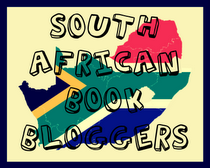 * Actually it's much later than initially planned, but sadly that terrible thing we all have to do in order to fund our book habit got in the way. Baru Cormorant believes any price is worth paying to liberate her people - even her soul. When the Empire of Masks conquers her island home, criminalizes her customs, and murders one of her Fathers, Baru vows to hide her hate, join the Empire's civil service, and claw her way up enough rungs of power to put a stop to the Emperor's influence and set her people free. As a natural savant, she is sent as an imperial agent to distant Aurdwynn - a post she worries will never get her the position and power she craves. But Baru soon discovers Aurdwynn is a complex and secretive country, seemingly on the brink of rebellion. All it would need is a match to the tinder . . . Drawn by the intriguing duchess Tain Hu into a circle of seditious aristocrats, Baru may be able to use her position to stoke a revolution that will threaten to bring the Empire to its knees. As Baru maintains a precarious balance between the rebels and a shadowy cabal within the Empire, she orchestrates a do-or-die gambit with Aurdwynn's freedom as the prize. But winning the long game of saving her own people may be far more costly than Baru imagines. Seth Dickinson’s debut novel, The Traitor (published as The Traitor Baru Cormorant in the US) is a smart, brutal, multilayered fantasy novel which manages to subvert your expectations every step of the way. The story centres around Baru Cormorant, an intensely intelligent, witty and perceptive female character as she is transformed from an innocent little girl into a ruthless tool to be wielded by her country’s conquerors. It’s this transformation and the turmoil she undergoes, both physically and emotionally that makes Baru such an engaging character. From the start she has to make ruthless choices in order to bring her vow of vengeance - to fight the Empire from within - to fruition. But betraying the Empire also means that she has to betray herself and her very nature. What happens when you can’t separate yourself from the mask you wear? The Traitor is beautifully written with superb world building and characterisation that truly shines. The world is filled with complex, engaging characters that will crawl into your heart and leave you an emotional wreck by the end. While the pacing is slow initially, it ramps up steadily as events draw to a head. And it’s with the breathtaking finale when all the political intrigue, the betrayals and machinations come full circle that The Traitor will blow you away. Even after being forewarned the ending is a brutal punch to the gut which will leave you shell-shocked and emotionally drained. Not many novels can manage to surprise you even when you are fully expecting the twist, but Dickinson manages to do just that in the most harrowing way. I can’t wait to see what the next instalment has to offer; it’s going to be tough to top this. But first I think I might need a year or two to recover . . . 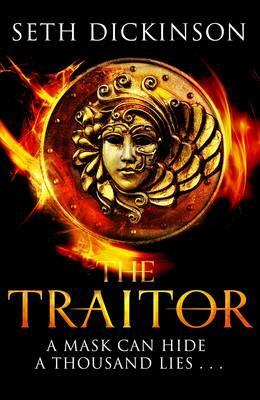 The Traitor is a smart, brutal, multilayered fantasy novel filled with political intrigue and complex, engaging characters. The ending is brutal and harrowing in the best possible way. If you are looking for a fantasy novel that offers something different from the norm, then this is most definitely it. Highly recommended! Thanks to Eileen from Pan Macmillan S.A. for providing the review copy. Today sees the publication of L.E. 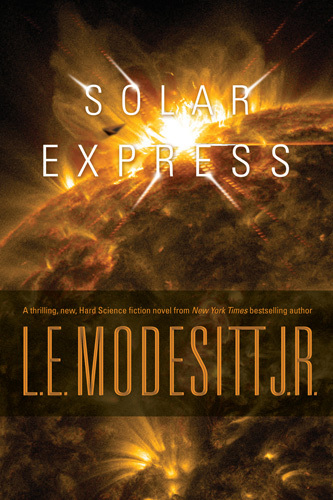 Modesitt, Jr.’s Solar Express a hard science fiction novel which forms part of the NASA-Inspired Works of Fiction (NIWoF), an initiative by Tor/Forge and NASA to use science fiction as an educational tool to showcase the endless possibilities of NASA's current and future work - to ignite that spark of curiosity and wonder in the scientists of tomorrow. SOLAR EXPRESS by L.E. Modesitt J.R. This one rule has led to decades of peaceful development of space programs worldwide. However, increasing resource scarcity and a changing climate on Earth's surface is causing some interested parties to militarize, namely India, the North American Union, and the Sinese Federation. The discovery of a strange artifact by Dr. Alayna Wong precipitates a crisis. What appears to be a hitherto undiscovered comet is soon revealed to be an alien structure on a cometary trajectory toward the sun. Now there is a race between countries to see who can study and control the artifact dubbed the "Solar Express" before it perhaps destroys itself. Leading the way for the North American Union on what may be a one-way mission is Alayna's friend, Captain Christopher Tavoian, one of the first shuttle pilots to be trained for combat in space. But, as the alien craft gets closer to its destination, it begins to alter the surface of the sun in wondrous new ways; ways that could lead Alayna to revolutionary discoveries—provided Chris can prevent war from breaking out as he navigates among the escalating tensions between nations. I'm a huge space geek, so I can't wait to see how this novel turns out. Knowing NASA's influence I'm sure there will be loads of acronyms (they do love their acronyms! ), but the best part of hard science fiction novels is that you end up learning so much about the real world while exploring fictional worlds that could very possibly be our future playgrounds.